The ONLY major company building recumbent trike frames outside Asia, Catrike’s highly-skilled US workforce completes the entire process -from CAD-design through finished product- in its Orlando, Florida factory. Catrike’s innovative design and manufacturing is on display in both this Welding Journal article (Welding Journal!) and this brief RPDX Interview at last year’s Interbike Conference. 9:30 am Meet-up at the store for coffee and pastries. 10:30 am Mark will lead a 90 minute Springwater Corridor -this is an all-abilities “out-and-back” ride (even if you lose the pack, we’ll pick you up on the return leg!). So, come join us on June 24th -for the ride, for lunch or for both! 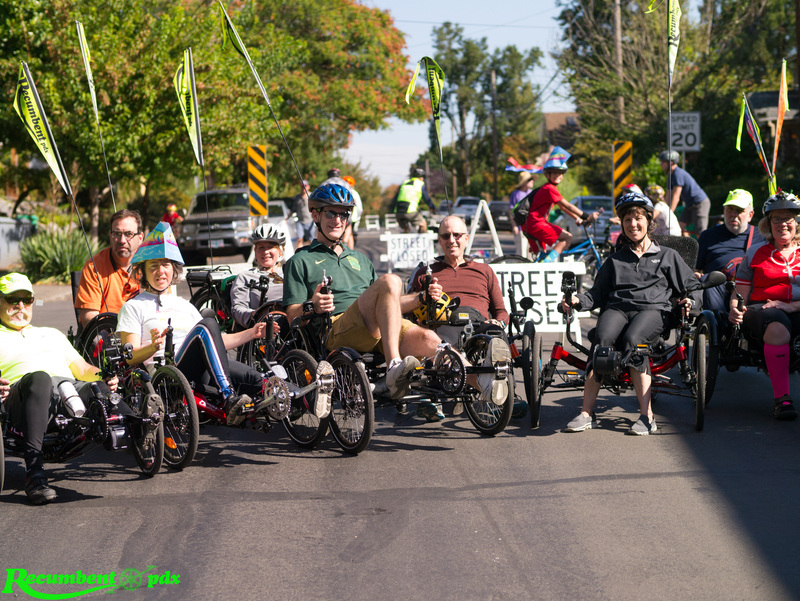 To celebrate Mark’s visit, RPDX will offer FREE Catrike fenders (a $180 value) on any Catrike purchased that day. While in Portland, Mark will be attending the June 23th Davis Phinney Foundation Victory Summit Phinney, one of America’s most successful bike racers, now devotes his life to helping those living with Parkinson’s Disease. If you –or anyone you know- is living with Parkinson’s, the Victory Summit is the place to learn the latest research and celebrate the inspiration of those not just living –but living well!